Information: May Gadd, teacher and author. May went to Cecil Sharp's summer camp (founded in England in 1911 to revive traditional dances in danger of becoming extinct) in 1915 after seeing a dance called the Old Mole in a London theatre. She was a physical education and dancing instructor, but soon began teaching only dance. In 1927, she was sent from her native England to New York by the English Folk Dance and Song Society (EFDSS) to assist with a summer dance session for the organization's 12-year-old American branch. May stayed on in her newly adopted country to become America's English country dancing authority, as well as an expert in the square dances of Appalachia. The Central group eventually held five classes a week, in five New York City areas as well as in Ardsley, Irvington, Great Neck, Essex Fells, Summit, Orange, and Plainfield. In 1937, the American branch became the English Folk Dance and Song Society. After restructuring, the name was ultimately changed to the Country Dance and Song Society (CDSS), with May Gadd as it's national director. Under May's direction, the Society expanded to more than eighty chapters across the United States. The CDSS established its own folk dance camp, the Pinewoods Camp, in Plymouth, Massachusetts. Other centers include Boston, New York City, Berea (Kentucky), and Brasstown (North Carolina). May was a consultant for the productions of Brigadoon, Hell on Wheels, Oklahoma!, and Rodeo. In the summer of 1948, she held an institute at UCLA, which was just about the first occasion of an internationally recognized folk dance teacher appearing in Southern California. In 1961, May received the Gold Badge Award by the English Folk Dance and Song Society. English Country Dance has found more of a home in America than in England, with active English Country Dance groups in most major American cities, as well as in many smaller communities. 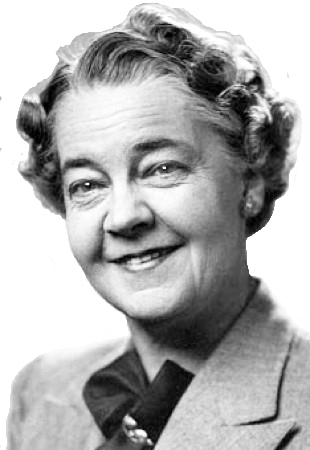 In January of 1973, Genevieve Shimer succeeded May as the leader of the CDSS when May retired as National Director. Until 1976, May was still dancing and teaching. May Gadd died at the age of 89 on January 27, 1979. An endowment fund was established by the CDSS in her name. Country Dances of Today, Book 2, by Gadd, May. New York: Country Dance and Song Society of America, 1951. Descriptions and music for 15 English and 2 American country dances. English Country Dance, a dance family. The English Dancing Master, books.